Ammar Ladjailia was born in Souk Ahras, Algeria, on November the 29nd 1977. 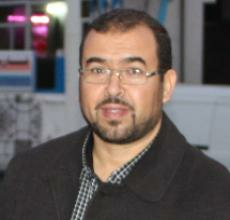 He received the computer science Engineering degree from the University of Annaba in 2000. He obtained a Magister Degree in Computer Science from the University of Annaba in 2003. Ladjailia is now working towards her PhD degree at the Image Processing Research Group at the University of Annaba, Algeria. Whilst he is working as assistant lecturer of Computer Science from the university of Souk Ahras. Her research includes Human activities recognition, Smart Automated Visual Surveillance, image and video processing.